Helmuth Bürger and his sons have over a long period of time given their Beauty a complete restoration treatment. The boat has been relaunched in summer 2009 and is ready to race again. 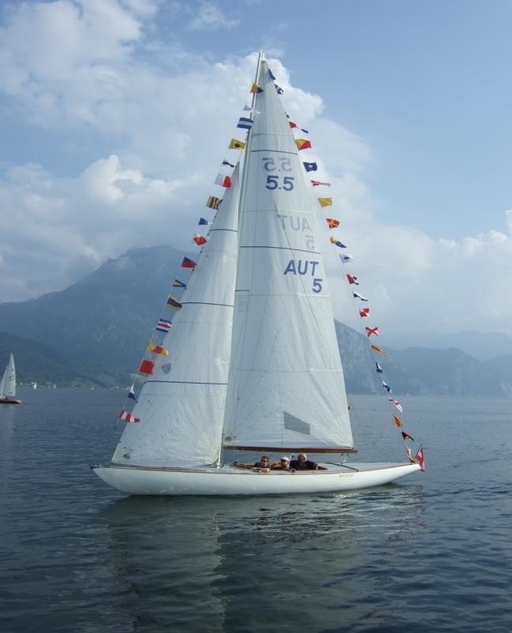 Having been Champions on local Traunsee before, we do loook forward to be welcoming them to International racing in the near future. The boat will be added to the ownership section as AUT 5(b), once a solution to double sailnumbers is found. AUT 5(a) is "Gof".